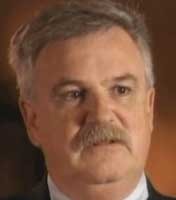 FBI agent Dan Coleman was assigned to Alec Station and given over thirty-five volumes of documents on bin Laden. At the time, Coleman was the only investigator in the FBI assigned to bin Laden. He was able to diagram the al-Qaeda network and realized that it had numerous ties to the United States.